Automotive investors, suppliers, and industry leaders continue to talk about Ford’s plan to cut most cars from its lineup, but the automaker has already moved well and truly on. While it no doubt is hard at work on its next-generation of SUVs, crossovers, and pickups, the company is also working on stuff that frankly doesn’t seem to fit any business plan. 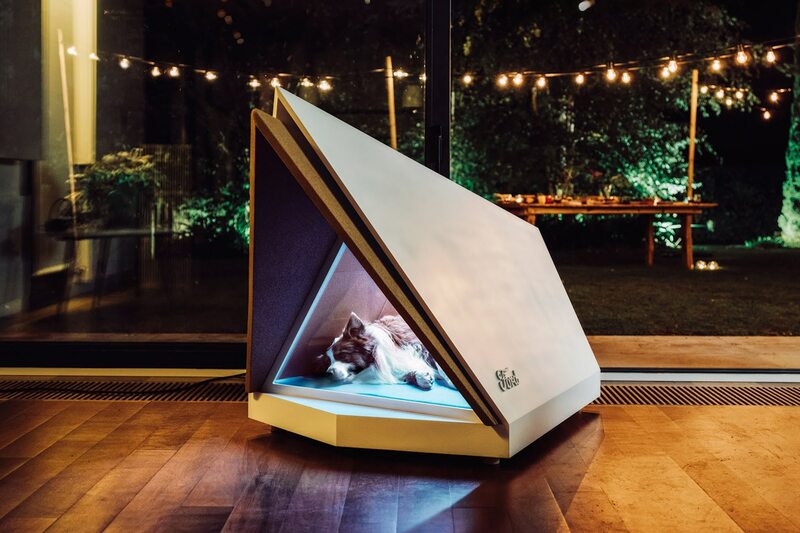 Case in point: Ford has developed a noise-cancelling dog kennel to reduce the anxiety caused by fireworks, revealing it just in time for fireworks season to start in six months. Snark aside, it’s a thoughtful project. This futuristic home for man’s best friend is billed as the Ford Quiet Kennel, and it is said to utilize the noise-cancelling tech found on the current Ford Edge. Along with sound-deadening cork construction, the kennel features external microphones that recognize loud sounds like fireworks or, say, a backfiring 351 Cleveland in the garage. Once an audio threshold is met, a speaker mounted inside the kennel plays an opposing frequency to nullify the upsetting noise. For now, the kennel is just a prototype, but keep an eye out for similar concepts in the future. Ford says this is the first of a new series of projects it’s calling “Interventions,” which will incorporate automotive tech to solve non-automotive problems.